BATAVIA, Ohio (June 2, 2017) The Ohio River Sweep – sponsored by ORSANCO – will be held 9 a.m.-noon on Saturday, June 17. 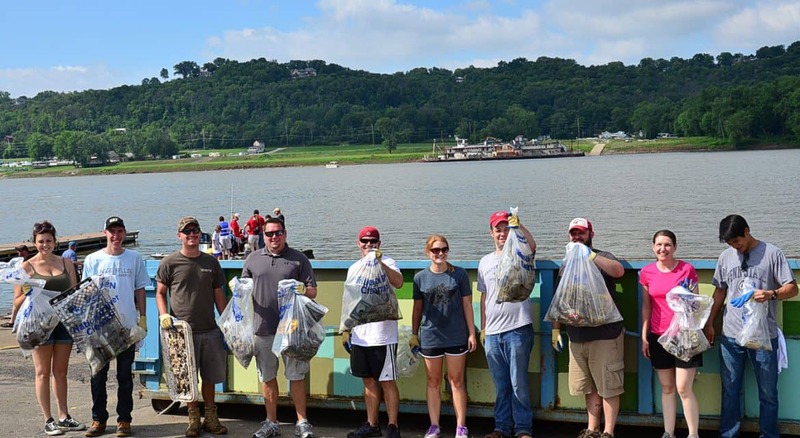 This annual cleanup has been held since 1989, and since then, thousands of volunteers have removed tons of trash from the 3,000 miles of the Ohio shoreline and its tributaries. Volunteers from Clermont County have been a big help over those years. Staging areas will be held in Chilo, Moscow, Neville, and New Richmond. Chilo Lock #34 Park is appropriate for older teens and adults due to rough terrain. Volunteers in the Moscow area will meet at Moscow’s riverfront park at 222 Second St. In Neville, volunteers should gather in the parking lot of the boat ramp on Morgan Street, and in New Richmond volunteers will meet at the bandstand. A dumpster will be placed on the parking lot of the boat ramp on Morgan Street in Neville for large objects; tires can be stacked outside the dumpster.